Kids’ sight is one thing of vital importance since the sun exposure is three times superior to the one that have the adults. According to the General Council of Colleges of Opticians-Optometrists, their crystalline lens is not developed yet and before their first year, it let the 90% of the UVA radiation and the 50% of the UVB in. Because of this reason it is necessary to protect their eyes with sunglasses that guarantee their visual health. 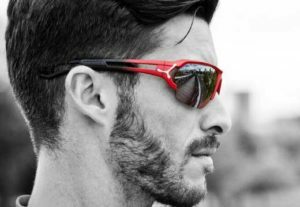 One of the priorities when you are going to choose glasses with solar supplement is the quality of their materials. Some of them such as the acetate or the silicon are flexible materials which are ideal for kids thanks to its comfort and flexibility. 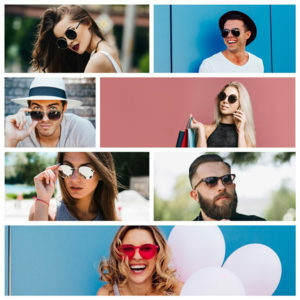 It is important to say that since they are young it is important to use sunglasses, because it will reduce the possibility of suffer cataracts and other kind of visual illnesses in a near future. 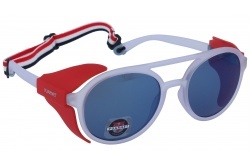 Nanovista is specialize in eyeglasses and glasses with solar supplement for kids, due to the fact that they both include two different systems of fastening: temples and an elastic belt. 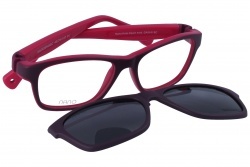 Besides they are comfortable, long-lasting, flexible and very colourful. 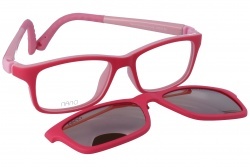 Nanovista offers glasses for kids from 3 months to 12 years old, where all its models count on an anti-scratch and anti-reflection treatment as well as a solar supplement. 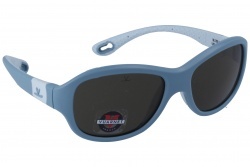 Vuarnet count on different sunglasses for kids that adapt to the kids face. Their frames use to count on colourful designs to make the kids to feel comfortable and fitting to their taste. 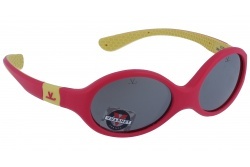 You can buy sunglasses for kids in Optical H with the best quality and all the guarantees for a total protection in the eyes of your kids.